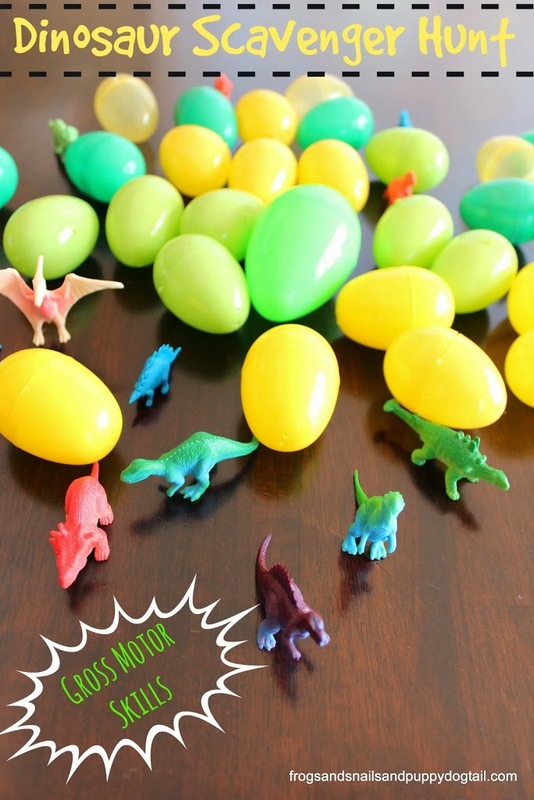 This week on Play, Craft, and Learn with Dinosaurs we are focusing on Gross Motor Skills. Gross Motor Skills work on the large muscles in the body. 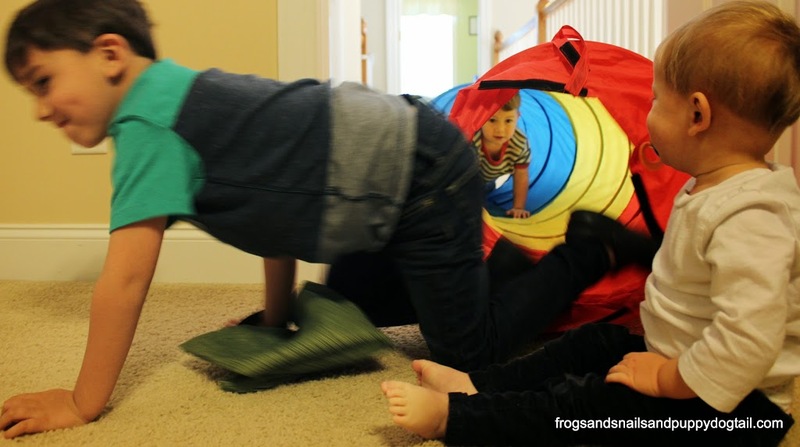 Getting kids up moving around by crawling, walking, running… works to improve their gross motor skills. 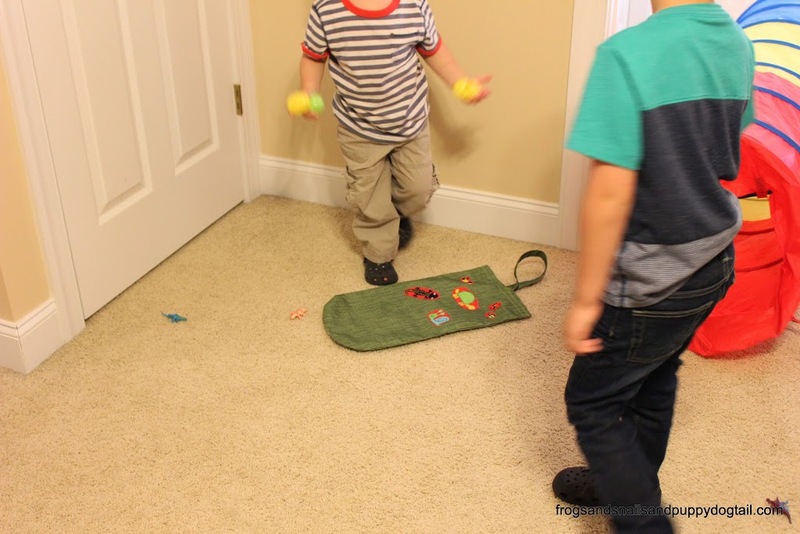 Setting up gross motor play for the kids can be easy and a lot of fun. This Dinosaur Scavenger Hunt is just that. My kids could not wait to set out to seek and find these dinosaurs. Perfect way to get the kids moving during play time. 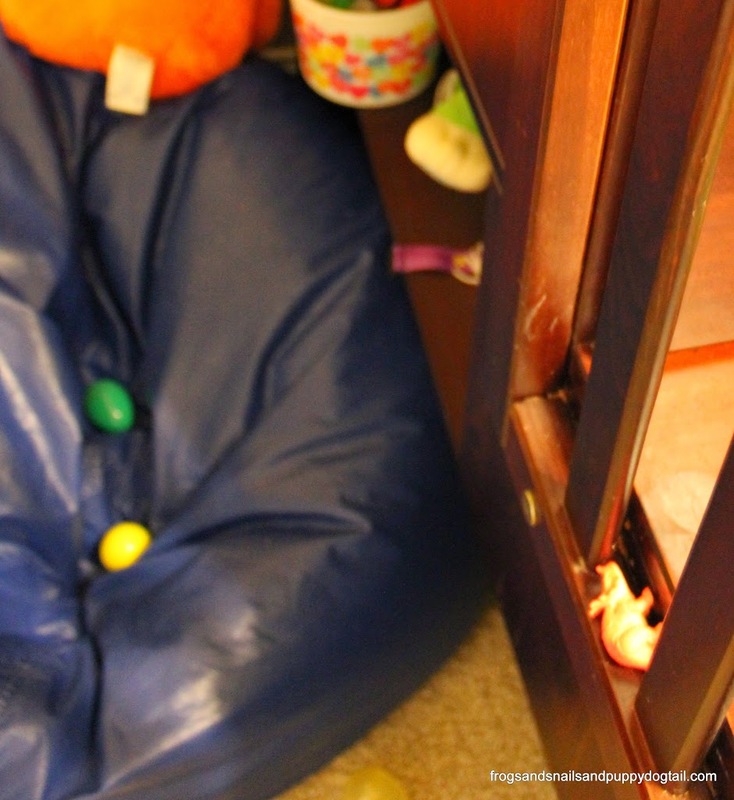 To start I took all the eggs and dinosaur toys and hid them in a room. I got out our play tunnel and had it leading into the room. I had the kids grab their bags we take in nature walks. They could fill these up with their dinosaur finds. We started by using our muscles to crawl into the room. Then they went to running, walking, and a little “dino stomping” through the room. 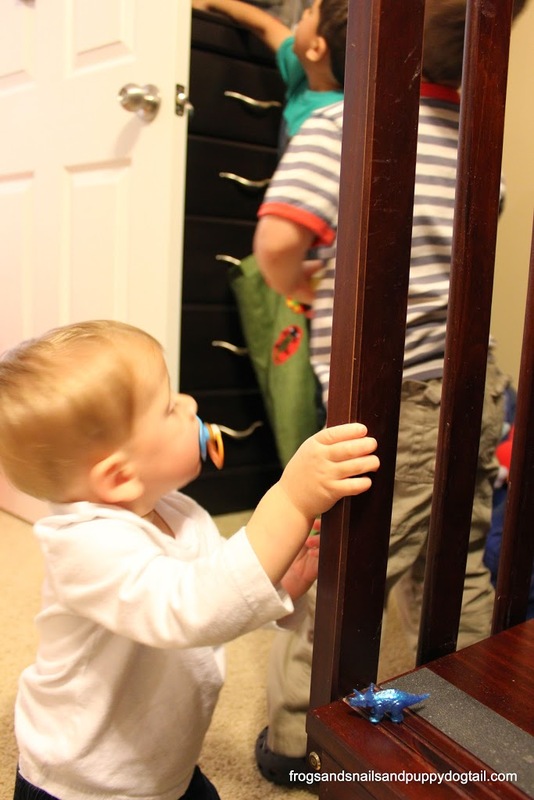 Baby brother was right there with his older brothers to crawl and walk around too. This turned out to be a great play activity for my multi aged kids (1-5yr). 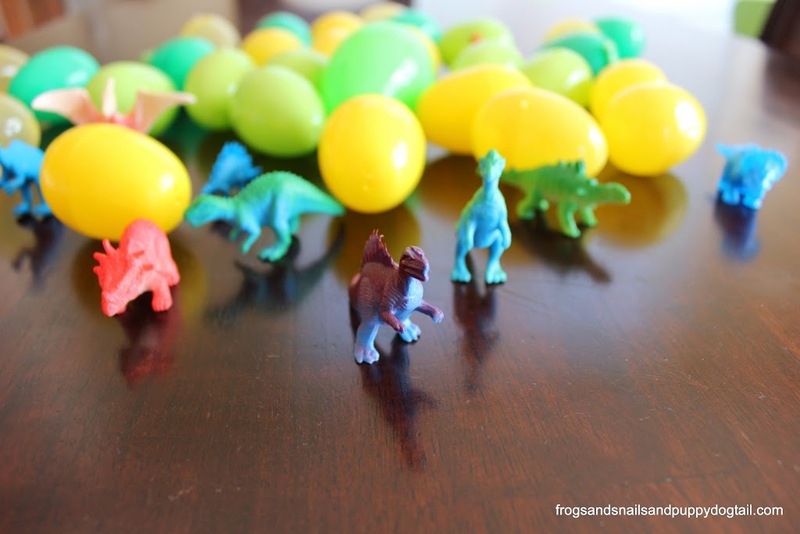 The kids had so much fun combing the room to find the plastic dino eggs and dinosaur toys. Baby brother found a few too. Once they found them all big brother and little brother took turns hiding them for the others to find. This could be a great rainy day activity or way to burn off some extra energy. However, for us it was just a fun way to play and work on our gross motor skills in the process this day. 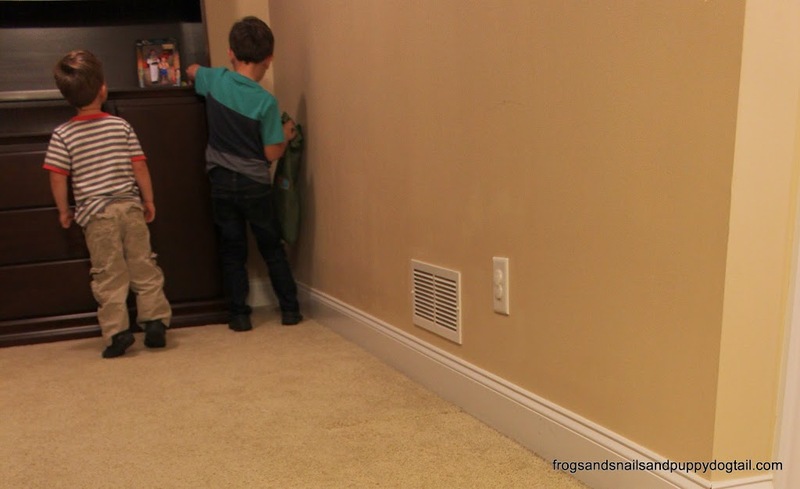 We hope you and your kids might enjoy this simple play idea too. So fun! My kids would love this activity! 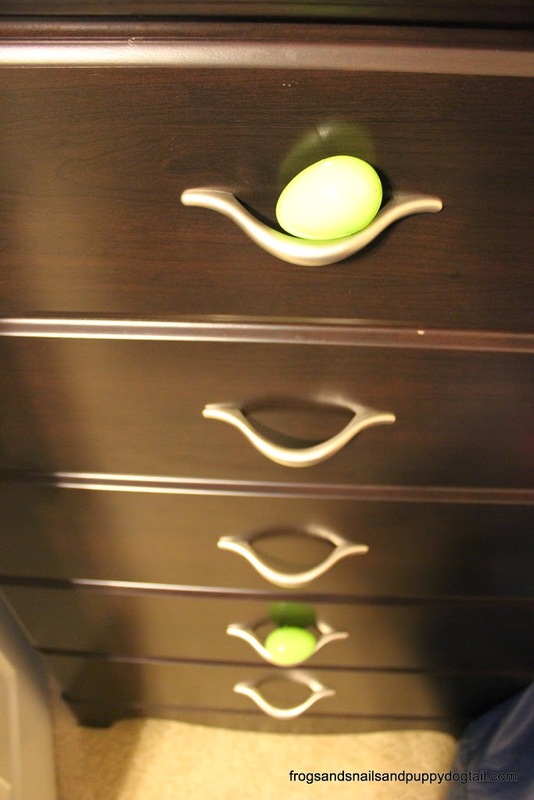 We do this all year long – egg hunts, that is. I’ve never thought to use toy dinosaurs but I might just use that in the future. It looks like your boys had fun with this one! What fun and we love dinosaurs.